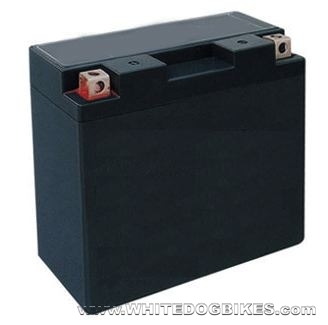 Gel filled motorcycle batteries are usually supplied with the acid already in them and without any opening's or vents. Gel filled motorbike batteries are often used on motorcycles and scooters where the space is very limited or where the battery has to lie on it's side (like the Yamaha R1) as the battery acid doesn't leak out. Gel Filled motorcycle batteries reference numbers usually start with the letters YT, CT or GT (e.g YT12B-4) or YTZ, CTZ or GTZ (e.g CTZ10-S). Where 2 battery references are next to each other with 1 set in brackets, For example YT7B-4 (CT7B-BS), this indicates both batteries are the same. **=The YTZ6-S battery has now been discontinued by Honda (and is no longer used in any Honda bikes) and has been replaced by the YTZ7-S battery. The YTZ7-S battery is exactly the same size and terminal layout as the discontinued YTZ6-S battery but is slightly more powerful.